The Shadow * Expressing Feelings * Witnessing * Healing Vibrationally * Toning * Balancing Chakras through Sound and Color * Integration. 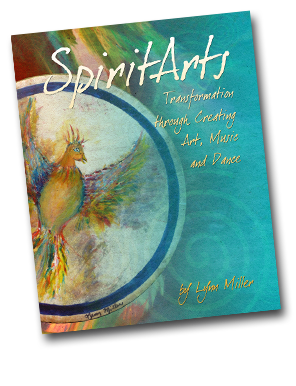 “I have read many books about the arts and spirituality over my lifetime and I am astonished by Lynn Miller’s SpiritArts! It may be one of the most important summations of the world’s present ways of becoming aware and involved with the “Artist” that we are born as. I have known this renaissance person for many years and have always been inspired and impressed by her genius talents in dance, painting, sculpture, music, art, creative arts therapy and healing. SpiritArts, is simply the best and most informative text on the “Arts” that I am aware of. Lynn’s style of writing is inviting, friendly and easy to understand, as if you were listening to one telling the ‘Truth’. Her humanism is clear and her research is impressive. James Oshinsky, Ph.D. is a psychologist and musician. 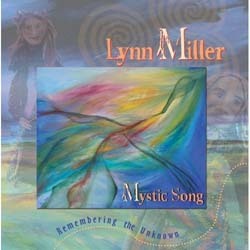 He is the author of Music for People’s book on improvisation and facilitation, Return to Child. He teaches at Adelphi University in Garden City, NY. Aviva Gold ATR BC, Art Medicine Woman, therapist, teacher and author of Painting from the Source, Awakening the Artists Soul in Everyone. Spirit Arts is the book I reach for when I need the inspiration, confirmation and guidance to become my best self. It’s kind, nurturing approach puts the creative process into words that help me identify where I am and where I need to go. In numerous specific, easy to understand exercises, it allows anyone to enter the process from wherever they are, whatever their range of experience: from the total novice exploring possibilities, to the experienced professional. Miller reveals how each art form–visual art, movement, and music–is related in its creative beginnings, and encourages us to try more than one, making it easy to imagine success. She relates deeply personal stories from her own life about how exercises worked for her. The section on Arts and Healing bespeaks long experience with clients and contains most valuable activities for improvement. This book is a treasure trove of ideas for arts facilitators and teachers. It is a beautiful object simply to hold in one’s hands, clearly organized and stunningly illustrated with Miller’s artwork. It is a gift for anyone who wishes to open to creativity and find their authenticity, or just learn more about themselves.